Cindy Crandell R.N., C.N. 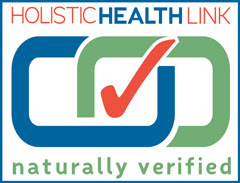 is a registered nurse and certified nutritionist who specializes in women’s health issues. With more than 20 years of experience, Cindy is able to create customized nutrition and health plans for women to prevent, treat and overcome common ailments. Nuview Nutrition works specifically with woman who are dealing with PMS and Menopause, as well as Endometriosis and Polycystic Ovaries. Through individualized health consultations and evaluations, Cindy is able to develop personalized nutritional plans that improve a woman’s overall sense of health and wellness. By targeting the areas of concern through dietary changes, Cindy helps lessen the symptoms commonly attributed to women’s health issues, providing relief from discomfort and distress. At Nuview Nutrition, Cindy Crandell R.N., C.N. offers her services to help women find relief. Contact Nuview Nutrition to learn more about diets for Polycystic Ovaries, as well as natural remedies for Endometriosis, PMS, and Menopause.